It is fun to see that others are being promoted to the rank of King. 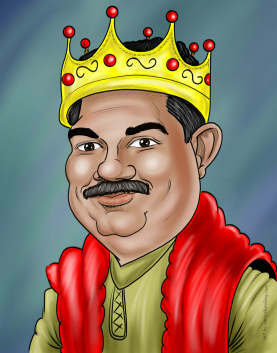 Here is a fun caricature from artist Eddie, allowing the subject (no pun intended) to go from formal to regal!! You too can get a caricature from Eddie or one of our other artists on the team.